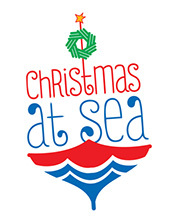 The Maritime Museum warmly welcomes you to come and take part in Christmas at Sea, our annual series of holiday events and charitable activities. This year, the festivities will commence the final week of November, and will carry through to the middle of February 2016. 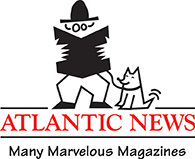 This nostalgic holiday favorite was last seen and held at the Maritime Museum in 2002, and previously in 1997 and 1996. In honour of the 175th anniversary of Sir Samuel Cunard’s transatlantic arrival of the flagship RMS Britannia, this holiday, over 300 bears loaned and donated by our museum fans will be seen aboard and around the RMS Bearengaria, our version of the Cunard ship. Our Orson museum bear shares his story of being the in the museum and we will share Bear Tales from our gracious lenders during the holidays. Follow the adventure on Twitter at #teddybearsahoy and engage with us on Facebook! Share your holiday memories with us and enjoy the fantastic world of LEGO, the Halifax Harbour way! Thanks to our master LEGO builder Owen Grace, you’ll recognize some of our signature waterfront spots and harbour “regulars” in LEGO form. Keep a keen eye for a few surprises and see what you can move around the bustling scene. A holiday tradition at the museum for almost 10 years, make it your annual holiday tradition with us! 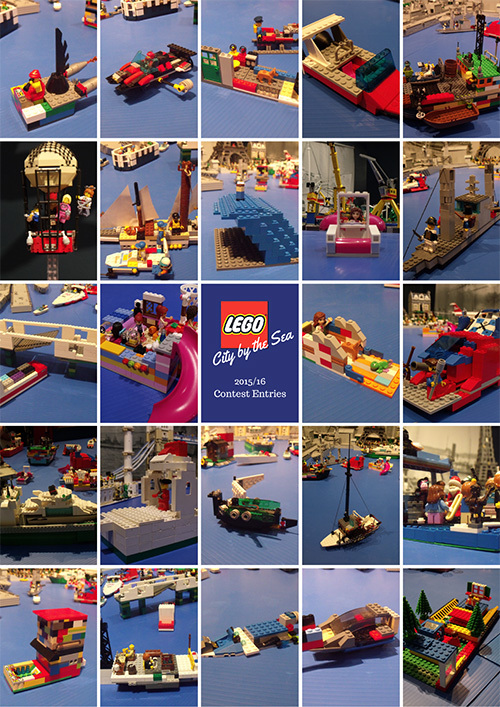 You can add your inspired Maritime LEGO model in our rendition of the Halifax harbour and city seascape by entering our 2015 LEGO Maritime Model Competition and display. Enjoy seeing and sharing your creation displayed in our LEGO: Halifax, City by the Sea with museum visitors over the holidays and enter to win some amazing prizes! New – 2015 LEGO Model Competition Entries! 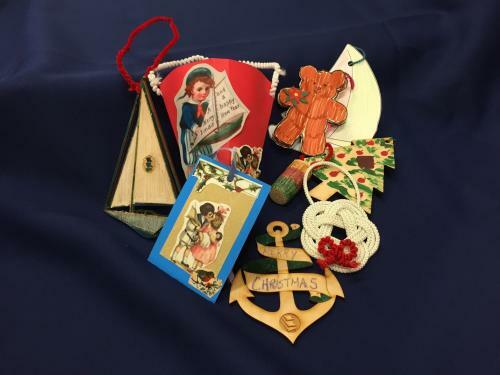 Nautical Christmas cards have circled the globe since the days of the clipper ships. On display are a wide variety of beautiful cards from cable ships such as Mackay-Bennett and Minia, which recovered the bodies of the victims of the RMS Titanic disaster as well as Lord Kelvin and Cyrus Field, which were mainstays on the Halifax waterfront for years. There are also cards from grand ocean liners such as the original Queen Elizabeth, the Royal Yacht Britannia and our own CSS Acadia, represented by a series of cards by our talented ship keeper, Steve Read. There are also the whimsical but thought-provoking Gursky models, featured in this post by our Registrar, Lynn-Marie Richard. Thanks to everyone for all their generous donations! We filled 74 shoeboxes and collected extra supplies, which Mission to Seafarers can use to assist international crew who are in port over the holidays. Your contributions are part of the 1,600 shoeboxes that Mission to Seafarers have already received for the season! Our row boat Gusty was filled with amazing toys for children and teens with the Boys and Girls Clubs of Halifax and Dartmouth and Bryony House. Thanks for your support in making it a more joyful season for families over the holidays!